The wrath of Donald Trump has a limit. The Senate Committee on the Judiciary has given its approval to a rule to protect the special prosecutor of the Russian plot, Robert Mueller, from a raging dismissal. The measure comes after the repeated attacks launched by the president of the United States against the investigative team. It is not a secret that Donald Trump has made of destitution a weapon of mass destruction during his 15 months in office. The most controversial of US leaders has accused Robert Mueller and his agents of being infiltrated by the Democrats and acting partially while deepening in the Russian plot case. "It's a witch hunt," he has reiterated. Considering this hazard, the Judiciary Committee has approved a measure to protect the prosecutor from being discharged. The Committee approval, however, does not imply that it will pass the full Senate test. The leader of the Republican majority in the Upper House, Mitch McConnell, has been against it. And other prominent conservatives hesitate to limit presidential power in such an explosive matter. Another current considers, though, that the independence of the special prosecutor should prevail. These differences can be decisive in the plenary, where the Republican advantage is only of two seats (51 against 49). The proposal arises, in fact, from a group of senators from both parties. Its objective is to stop a possible presidential attack. To do so, it circumscribes the capacity to dismiss to the Department of Justice and establishes an urgent review mechanism. In case of dismissal, a committee would analyze the case and, if noticed that the cause is not fair, it would annul it. If the rule is passed or not, the decision of the Senate Committee on the Judiciary (7 votes against, 14 in favor, four of them Republicans) reveals that the president is really touched by this issue of the Russian plot. 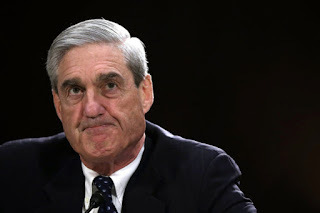 Mueller’s prestige is still considered in high esteem. Director of the FBI for 13 years, he has avoided all these months the focus and has centered on an investigation that continues to expand its perimeter. His election, moreover, came just after Trump fired the director of the FBI, James Comey, for refusing to shelve the investigation of the Russian plot. Mueller's appointment was decided by Deputy Attorney General Rod Rosenstein to quell suspicions that the Justice Department, on which the FBI director depends, was trying to bury the investigation. It was a measure that surprised the White House but showed the vigor that counterweights still have in American politics.